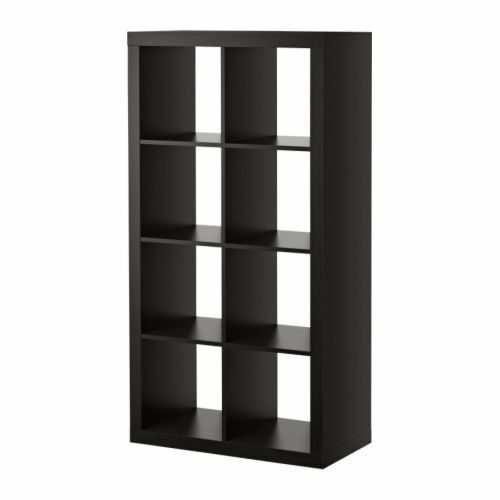 This last weekend the wife and I made a trip to Ikea for shelves and bins. My Lego collection has been expanding as I sort and acquire new pieces. It had been my plan all along to get more storage eventually, but that critical mass had been reached and my table was covered with bags of pieces and partially constructed models. I’ve been using the fairly standard methodology of sorting my pieces into bags and grouping the bags into bins. I’ve been using inexpensive bins that I get from Ikea that are clear and stack nicely. By using clear bags and bins, I can see what I am dealing with before I start opening things up. 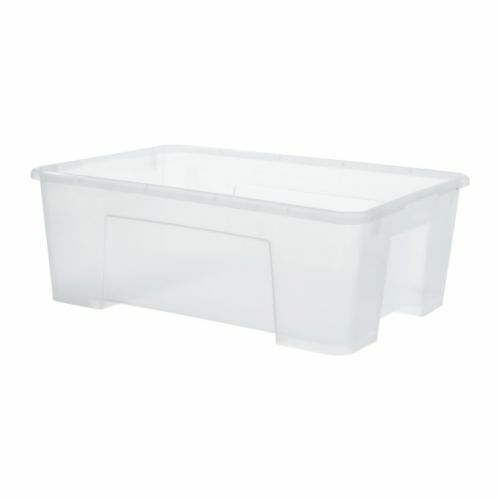 The other convenient feature of the Samla bins from Ikea is that the lids don’t have any kind of clasp, so they just lift off. This would be a liability for bins that were moved around regularly, but since these bins just live on shelves, it works out great for me. The bins and lids nest deeply for storing empties. 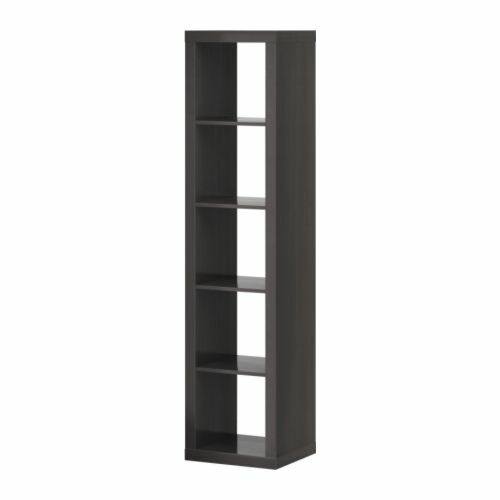 For shelving, I started with an extra Expedit shelf unit that we had around the house. 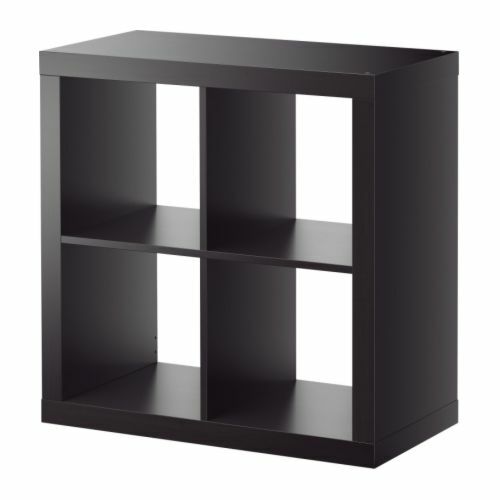 Ikea’s Expedit line are shelving units with cubic cubbies that are great for storing all kinds of things. They are going to be discontinued soon, but the replacement line should be functionally identical. I chose three gallon bins, so that I could fit two stacked into each of the Expedit cubes. I put display inserts with glass doors and lights into the top two cubes, so that I could have some display space. I filled the four middle cubes with 8 bins and left the last couple cubes at the bottom for non-Lego storage (gasp!). This was a good start, but the new addition is a smaller unit of shelves that I can stack on for another four cubes of storage. This doubles the number of cubes that I have devoted to bins, giving me room for 16 3-gallon bins (for a total of 48 gallons of storage). The next step, which I should be able to take care of later this week, is a third shelf unit with five more cubes. I’ll mount this unit on the wall, horizontally over my work table, giving me storage for sorted trays of small pieces and the Pick-A-Brick cups that I use to store large quantities of small pieces. There will also be room to place things on top of the shelves and places to mount lights underneath. The goal is to get rid of the bins that are currently under the table and have enough storage that I can generally keep the area tidy. It isn’t quite as nice as having a room devoted to my hobby, but having a good workstation is great. I’ll post photos when I get things all finished!